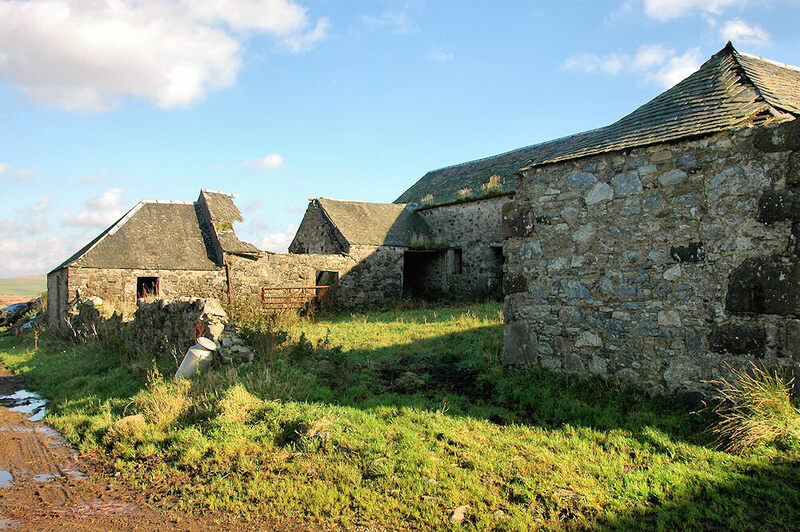 Nothing really reminds you of it, but these buildings (or their predecessors) once were home to the predecessor of Laphroaig distillery before it moved to its current location. But then again this was well over 100 years ago. This is at Tallant Farm, south west of Bowmore. This entry was posted in Distilleries, Landscape, Repost, Sunny Weather and tagged Bowmore, Islay, Laphroaig, Tallant by Armin Grewe. Bookmark the permalink. Thank you so much for posting this. John Johnston was my 6th Great Grandfather and it’s incredible to actually see this place at long last.